May Cabinets, Inc. became incorporated in 2005. Owner and CEO, Nick Morrone, has been in the business since 1973. Throughout this time, Nick acquired a highly committed and seasoned team with decades of industry experience. Today, May Cabinets strives to surpass our clients’ needs and expectations. Thanks to our committed team and clientele, who see a distinguishing quality in our work, May Cabinets continues to expand with an impressive client list consisting of educational facilities, hospitals, and office buildings along with government projects. Our team works to uphold and exceed the quality that has become associated with the May Cabinets name. We continue to meet our clients’ requirements with innovative solutions from our estimating department and our project management, fabrication, and installation teams. The May Cabinets Team works with the client to exceed architectural and design specifications on all projects. Providing the highest quality custom cabinetry and millwork to our clients by developing innovative solutions to meet their needs. Exceeding our clients' expectations and ultimately that of their clients. Training, rewarding, and retaining skilled craftsmen of our trade. Growing a family-owned, profitable, "Made in America" business with an entrepreneurial spirit and a dedication to the happiness and well-being of our employees. 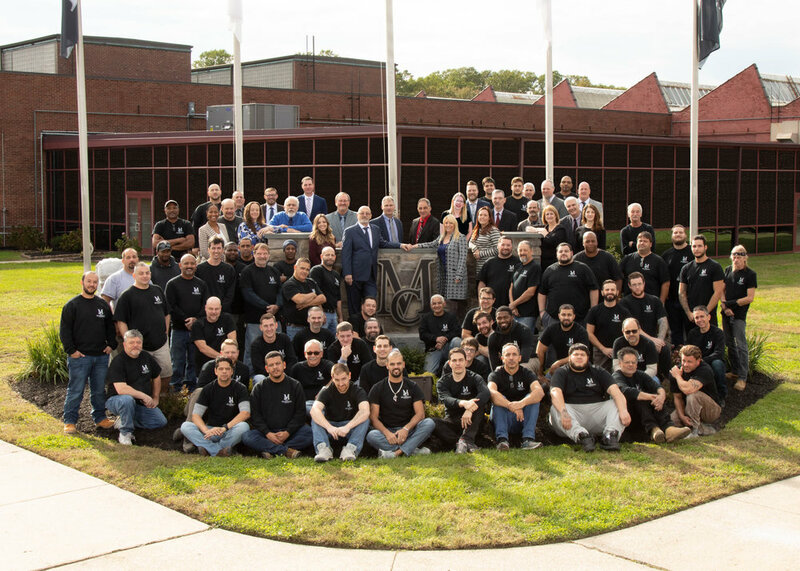 Our roughly 72,000 sf facility is located in the heart of South Jersey and complete with state of the art machinery and tools and a seasoned team of dedicated, hardworking employees. Our two CNCs and two edge banding machines help us save time and save you money by increasing the quantity of product we are able to produce without sacrificing the quality you expect. Click here to see our facility.